Enon Music Group Becomes New Label Home For Zak Williams & 1Akord Zak Williams Reveals Forthcoming Single "Unpredictable God"
arhiv » Enon Music Group Becomes New Label Home For Zak Williams & 1Akord Zak Williams Reveals Forthcoming Single "Unpredictable God"
Philadelphia, PA -- Zak Williams & 1Akord are a Philadelphia based choir of individuals from various areas and denominations united together to uplift the word of God through song. Founder and front-man Zak Williams created the group in 2003 and developed a dynamic vocal choir with a pristine and unrestricted delivery. Zak also led the group to win two Rhythm Of Gospel Awards for Contemporary Choir of The Year and Community Choir Of The Year. As an independent artist, Zak & 1Akord have two albums under their belt – THE DECLARATION: LIVE FROM PHILLY, (2006), THINGS ARE GONNA GET BETTER (2010), and 3 singles – “Go Tell It” (2015), “Wonderful Jesus” (2015), and “He’s All I Need” featuring Bishop Bruce V. Parham (2017). Zak and his singers have now found a record label home and are preparing for a new single release. 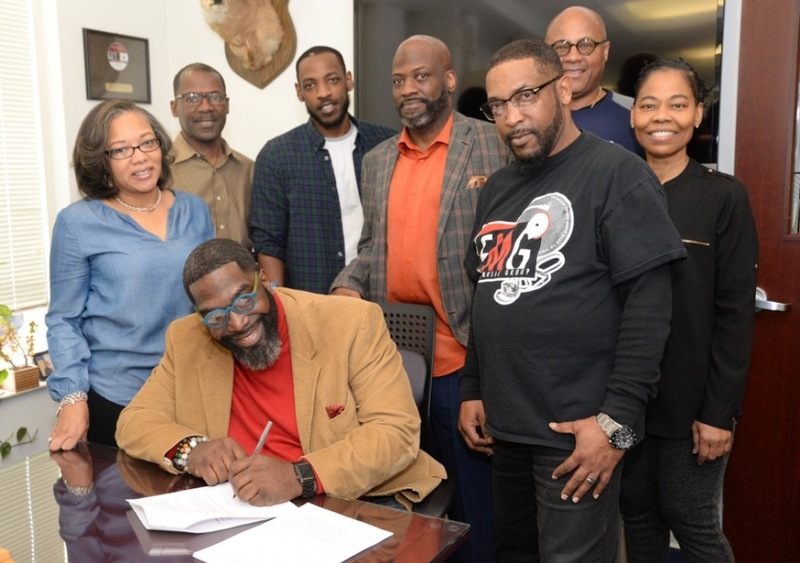 Garland “Miche” Waller, Vice President of Enon Music Group (EMG) announces the signing of Zak Williams and 1Akord to their rapidly growing record label in Philadelphia. Reverend Dr. Alyn E. Waller, President of EMG and Senior Pastor of Enon Tabernacle Baptist Church, established the label with the purpose of raising appreciation for Church music in the industry, and, with the leadership of Garland “Miche” Waller, facilitating artists who have a love for the church and a Christocentric lyric in the business of Gospel music. “I am excited about the accomplishments of EMG in such a short time,” says Dr. Waller. “God has been faithful in keeping his promises to supply our needs in this endeavor to help young artists and prophetic churches spread the gospel through music all over the world." Zak & 1Akord’s new single “Unpredictable God” is set to release on all digital music outlets on February 22. 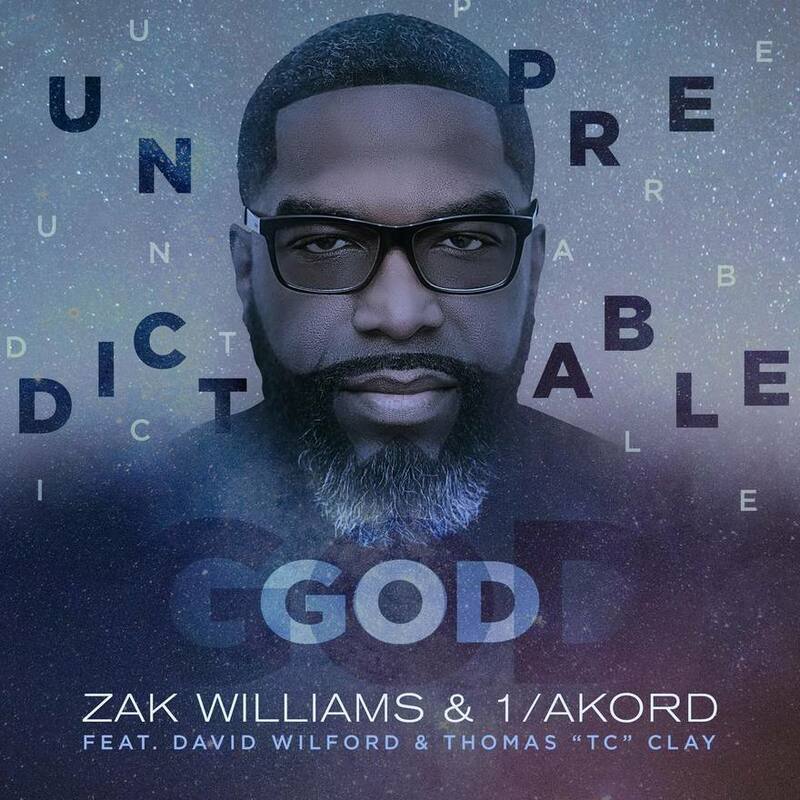 “Unpredictable God” features David Wilford and the late Thomas “TC” Clay. “I’m truly honored that EMG gave me and the choir this amazing opportunity,” Zak shares. “It was a no brainer for us to become a part of the EMG family since we too are in Philadelphia and have a long-lasting relationship with Miche. Dr. Waller is a respected pastor and businessman in the city and we are looking forward to working with him and the EMG team. Along with being a ‘choirmaster’, Zak is a popular Gospel Radio personality and host of “Choir Storm” and "The Xperience". He, along with co-host Henry “Mr. Whodat” Haley, play all of the classic and current Gospel choir hits on the “Choir Storm” airing weekly on LookUpRadio.com. Zak's "The Xperience" show airs daily from 2-6PM on WIMG 1300 AM Radio in Trenton, NJ. Zak hopes his music and collaborative efforts in the industry will help usher in a new and refreshing chapter for “Philly Gospel”. He is committed to using his gifts of creating and ministering great gospel music in his city and around the world. Zak Williams Contract Signing with Enon Music Group. Pictured: Zak Williams (seated/artist), Tonya Williams (wife), Aaron Williams (brother & choir member), Jerry Pendergrass (EMG Director of Sales), Reverend Blaine Newberry (Pastor of Exaltation at Enon Tabernacle Baptist Church), Joseph Robinson (EMG Mixing Engineer), Anita Coleman (Administrative Asst. to Pastor Waller), Garland Miche Waller (front/Vice President of EMG).